Son Of God – The Movie – In Theaters Tomorrow – check it out! From the producers of The Bible TV series last year, there is a new motion picture in theaters February 28th 2014. A great tool for evangelism as well as girding your own faith walk, I hope you will be able to see it yourself. Below I am reblogging a movie review from Pastor James W. Miller. Yesterday I was invited to Saddleback Church to preview the forthcoming movie Son of God, produced by the same people who created The Bible series for the History Channel last year, Mark Burnett and Roma Downey, who were both present for the screening. I’d strongly recommend you put this on your list of movies to see when it releases on February 28th. In terms of production value, it’s the best one of its genre. The Jesus Film pales in comparison, looking almost like a homemade movie compared to Son of God. The 1977 epic Jesus of Nazareth (over 6 hours long) was powerful for its time, but awfully hard to sit through. 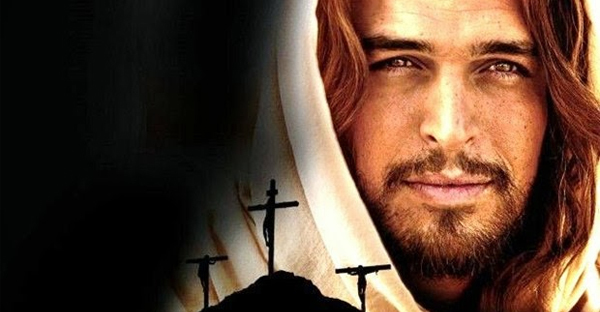 The Passion of the Christ, which, coincidentally, released exactly 10 years ago on Feb. 25, 2004, did not tell the story of the life of Jesus, but really honed in on the pathos of his final week. There really isn’t a modern day video retelling of the life of Jesus as good as Son of God. More flamboyant retellings, like The Last Temptation and Jesus of Montreal, really fall outside the mainstream and look more like a sectarian reinterpretation of the story. The movie doesn’t stray far from the biblical narrative, though it fleshes out some of the narrative behind the Roman occupation, and it emphasizes the way Jesus was an offense both to Romans and Pharisees. Many of the lines are paraphrases of the words of Jesus and the biblical characters, but the movie isn’t indulgent in its adaptation. It leaves a lot out, but after two and a half hours, it would have been hard to meaningfully include more and still accommodate the modern attention span. For that reason, you need to see it. Take your kids. Take your unbelieving friends. Take your small group and let it guide a discussion of which parts of the life of Jesus you tend to pay the most and least attention to. The only criticism I have of the movie are just in the nature of the genre. Many of the characters are white people with British accents and perfect teeth. Of course, I don’t think American English would be any more authentic, and the only way around these cliches would be to do as The Passion and have the whole thing in Aramaic. Some of the dialogue is oddly lilting, and the soundtrack is a bit melodramatic. The costuming is a silly blend of immaculately clean robes in a rainbow of colors. Still, the actor who plays Jesus, Diogo Morgado, is a nice variation on his predecessors. Rather than pale and somber, he often appears amused. You can’t help liking him from the beginning. And to be honest, the cliches are at about the level of presentation that most Americans expect and even want from a story set in the ancient world. We have the same caricatures when it comes to stories about ancient Greece, Rome, and Egypt. So take the movie for what it’s meant to be. It’s not simply entertainment, and it’s not intended to offer a new slant on the biblical narrative. It’s fundamentally an evangelical tool for retelling the gospel again in a modern language. And anytime Christ and culture meet, it’s a good opportunity for Christians to enter into conversation with a world that has heard different representations of Christianity and still wants to see the real thing. I just saw it today and your review just about summed it up.